Get My Free Course HERE! It's crazy how many people think building a successful online business is easy. Like it is something you can kinda-sorta work on in your part-time and magically get passive income. Designed to sell you courses and software you don't need. But the idea that building a successful online business is easy is literally destroying people's chances before they ever start. This is why I believe looking at the world of online business and digital entrepreneurship as a sport is a powerful reframe for you. And not make a fool of themselves. If I walked onto tryouts for the San Francisco Giants baseball team, it wouldn't even be funny. If I walked on at an Olympic 10 m air pistol shooting competition I would come in absolutely last-place. 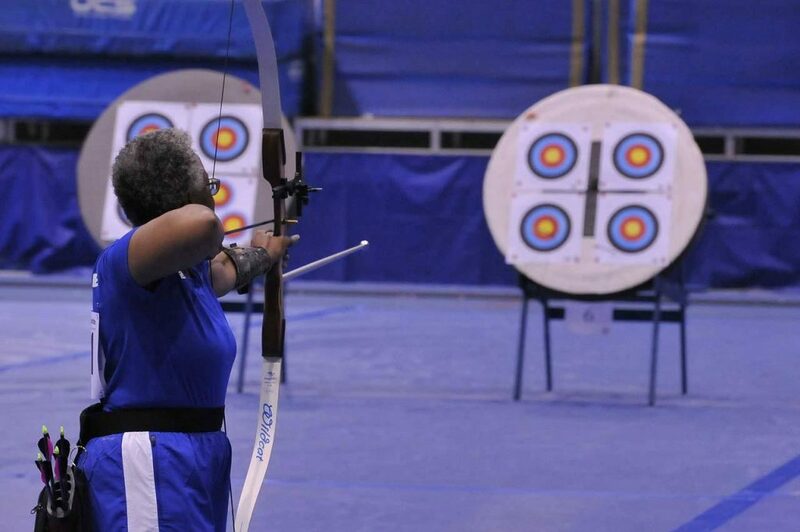 Now, if I chose a sport that I enjoyed… Like archery. Would I be competitive at that point? But I bet I'd be one of the best at a local and regional level! And honestly, I may very well be on that Olympic tryouts track! Which could lead to the world-stage if I kept with it! No Mountain Dew or Budweiser and Frito-Lay's induced all-weekend gaming sessions or Netflix benders for professional athletes! And I'm here to tell you the same is true for real professional Internet marketers! Imagine there were Olympic sports that only had a few dozen people in the world competing at a world-class level. And honestly, they're all not that good… There's just no competition so they haven't had to raise their game in a while. This is what it is like when you find a great niche market and audience that's being underserved. If there are only 12 competitors, that means you are only three competitors away from the first page of Google for your best keywords! By choosing a great niche that's underserved and has not been dominated by other digital marketers, you are literally stacking the cards in your favor. If you want to step into the ring with a heavyweight champion and go after the make money online or Internet marketing space…. I'm talking Mike Tyson right now at 50 years old. Tyson achieved such an elite level in his sport in his prime that now, 25+ years after his prime he is still better than most amateur boxers who dream of the Olympics. Not to mention what he'd do to us outsiders of the sport, in the ring!?! This is exactly how the internet marketing and online business markets are, today! Just like how Tyson still enjoys hitting that bag, the big dogs of internet marketing don't feel right when they aren't doing the work. Now, my goal here is not to dissuade you to create a successful business online. I wanted to give you an honest re-frame of the whole game. Plus, I want you to realize that there are hundreds of thousands of people trying to dethrone me as the most helpful Internet marketer in the world. You may be one of them… And I'm not worried about it! I actually let that MOTIVATE me. Every day I'm working as hard as I can to maintain my status in my role at the top of my game and to capture more market share. I'm so committed that I don't drink any alcohol, I don't smoke weed, I don't eat processed foods, I exercise multiple times per day, meditate, even geek out on my sleep to make sure I've got peak energy at all times. Know that you are entering an arena that is full of professionals already dominating! So you need to be truly committed to the path, the process, and be willing to do what it takes! Pretend that gaining market share in a niche is the equivalent to competing at an international level in a sport and all of the sudden "the work" it takes to create the success you desire makes sense. "Become a professional PGA golfer in 30 days with my ninja tactics even if you are a complete beginner at golf!" You break free at this point. Free from the hype cycle, the distractions keeping you from being like Tyson putting in work, dominating the heavy-bag! You will stop acting like a Frank, and finally become a Matt! You are now ready to do whatever it takes. Next up I make my YouTube video, then it's on to a blog post! Because I know I have hundreds of thousands of wannabe marketers thinking it's easy to do what I do. Reminding you that this level of intense work is the process to create success online. And it is so worth it in the end! Your future self will thank you for getting SERIOUS and doing what it takes! Like what you read... Want more? Check out these posts next! Miles is a full time internet marketer who sells information products and a niche membership program with his wife, Melanie. Together they have created a lifestyle business that allows them true location independence and this blog where you get to see behind the scenes and see how they have built their online business from scratch. Copyright 2019 by Miles Beckler. ​Enter Your Email Below & Get Your Million Dollar Business Blueprint FREE! YES! Send Me The Course, Now!